ASIA/PAKISTAN - Religious minorities to the new government: "Need to return to the Pakistan of founder Muhammad Ali Jinnah"
Karachi (Agenzia Fides) - For the protection of the rights of religious minorities in Pakistan, it is urgent that the new government inspires its policies to the vision of the founder of Pakistan, Muhammad Ali Jinnah, and to his speech of 11 August 1947, in which he presented the Constitution of the newborn nation. This speech should become a "guiding document", which directs the laws and policies of the Country: this is what religious minorities in Pakistan are asking for, ie those non-Muslim communities, made up mostly of Hindus, Christians and Sikhs. This was discussed in the recent seminar organized in two sessions, in Karachi and Lahore, by the "Center for Social Justice" (CSJ), in collaboration with the "Justice and Peace" Commission of the Catholic Episcopal Conference (NCJP) and the Organization for peace and development (DOP). In the seminar entitled "Rights of minorities: beyond promises", the Catholic Peter Jacob, director of the CSJ, addresses about 200 participants and recalled the words of Mohammad Ali Jinnah in his speech on 11 August 1947: "You are free; you are free to go to your temples, you are free to go to your mosques or to any other place or worship in this State of Pakistan. You may belong to any religion or caste or creed that has nothing to do with the business of the State". As Fides learns, Jacob said: "Recalling the desire to multi-religious and inclusive democracy that is reflected in the national flag of Pakistan and the promises made in 1940 on guaranteeing the rights of minorities, today we note the urgency of including minorities at all levels of governance and in decision-making processes". 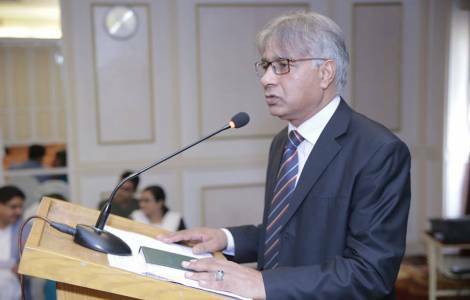 He also said: "Recognizing the fundamental rights decalred in the Constitution of Pakistan, federal and provincial governments should take concrete steps to protect religious minorities". According to Jacob, the new government must approve "a law that defines and punishes acts of discrimination, particularly on the basis of religion", committed to "developing an action plan to promote religious and social tolerance".